Take a look at some of the recent window valance projects we have completed. 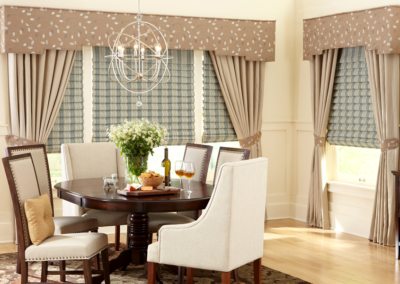 When you work with Galaxy Draperies to purchase Custom Valances, a project manager gets assigned to you. They contact you by phone to find out more about your project. Time for your appointment! 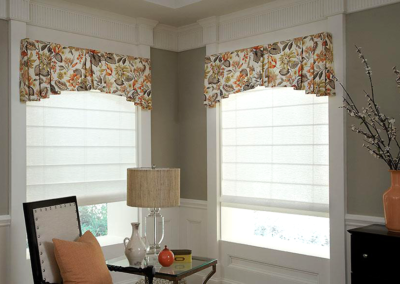 Your window covering consultant arrives with a variety of Custom Valances samples, takes measurements, & provides you with a quote right away. 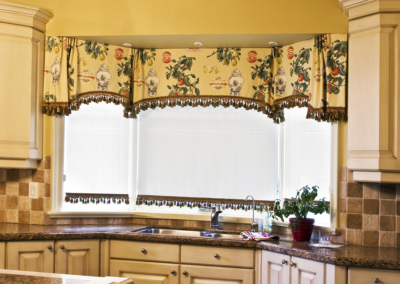 Once your order is placed, we begin manufacturing your Custom Valances to fit perfectly. All of our window coverings are produced locally here in Los Angeles. Finally, it's time for installation! 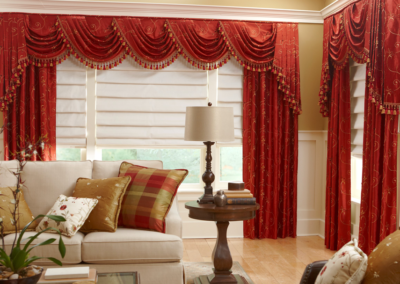 Once your Custom Valances are completed and pass our quality-assurance process, we'll call you to set up installation. After installation, sit back & relax. 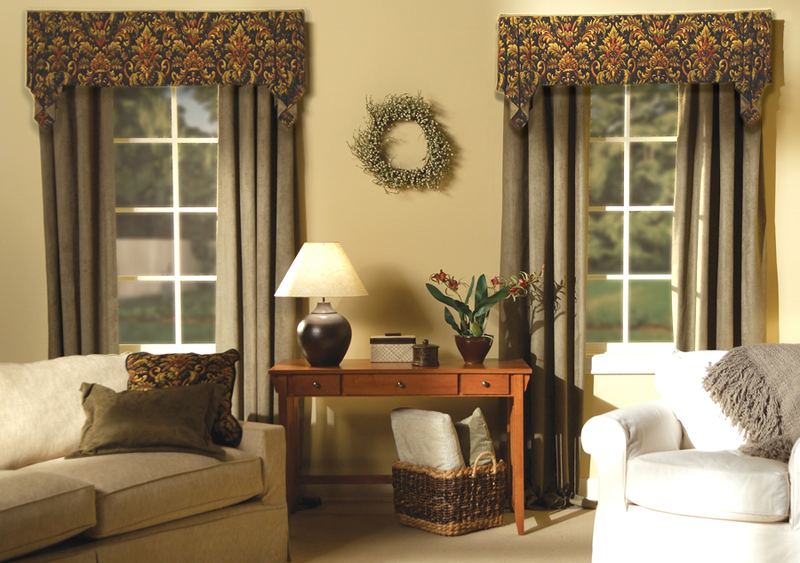 Custom valances are a decorative top treatment hung above a window and are often the perfect addition to complete a room. We offer a wide variety of choices, some of which include traditional swags and cascades for a classic option, or a cornice box for a more tailed look. 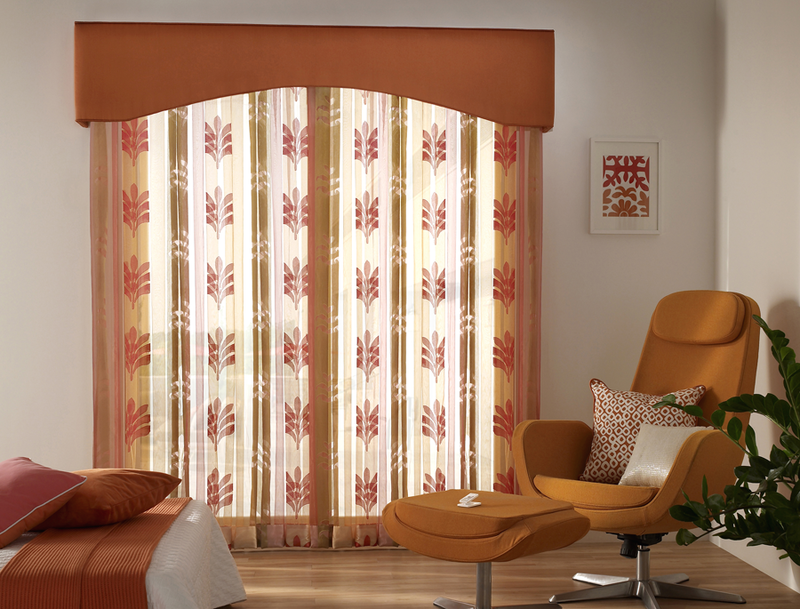 Our experienced consultants’ creativity and expertise allow them to work with our clients to choose just the right fabric for every window valance. 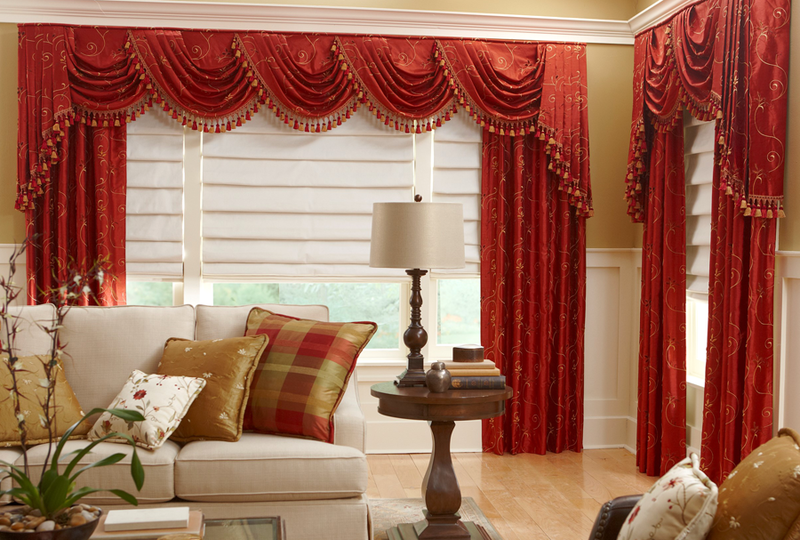 Custom valances create a unique and sophisticated look and add just the right touch of style, luxury, and design. Whether you already have a design plan in mind or are looking for inspiration, our team of experienced designers will help you every step of the way. 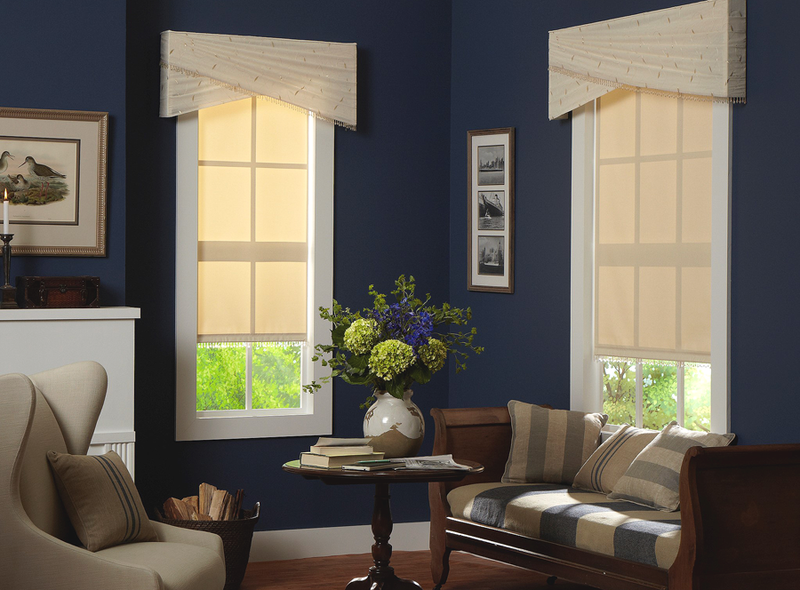 I requested and scheduled three different types of work – Roman shades, kitchen valance and new window seat cushions. I had sample colors and patterns in mind for the kitchen items – which were turned around with spectacular results in a very short time. I started my second dental practice in the city of Ventura. I was fortunate to have Liza as my client. She told me about her company and the graphics that could be placed over my blinds. My blinds are absolutely beautiful. They have my phone # on it and they protect the patients’ privacy. Thanks to Liza and Galaxy Draperies! We were so impressed with our representative, Cynthia, who went above and beyond with our consultation. She brought every possible sample that was relevant, was so thorough in figuring out exactly what we were looking for, and gave us the perfect samples within our price range and style. We couldn’t have asked for more! 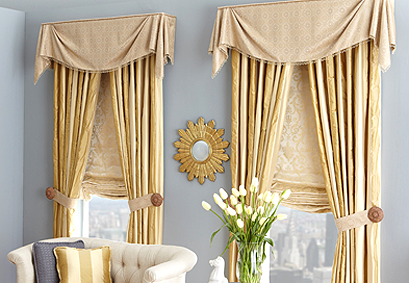 I would highly recommend her and trust her with advice and help in picking out the best drapes for your home. 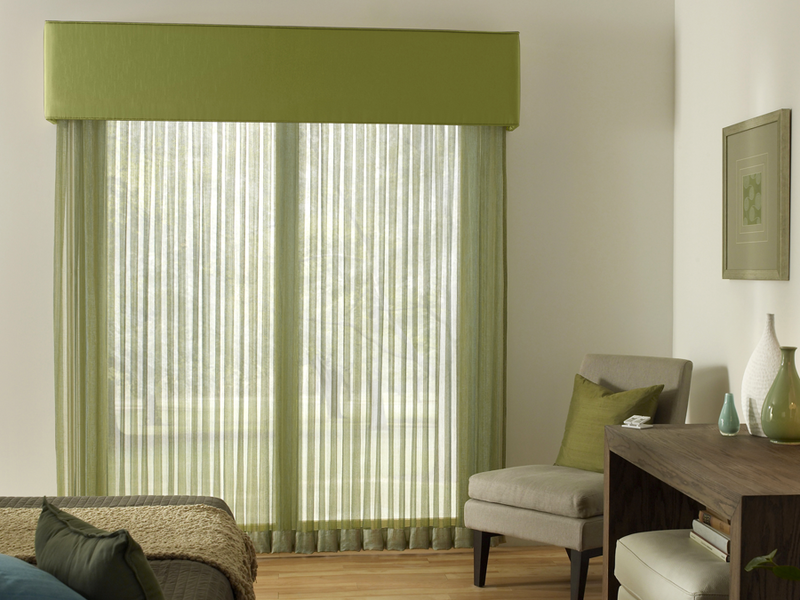 What is a valance? 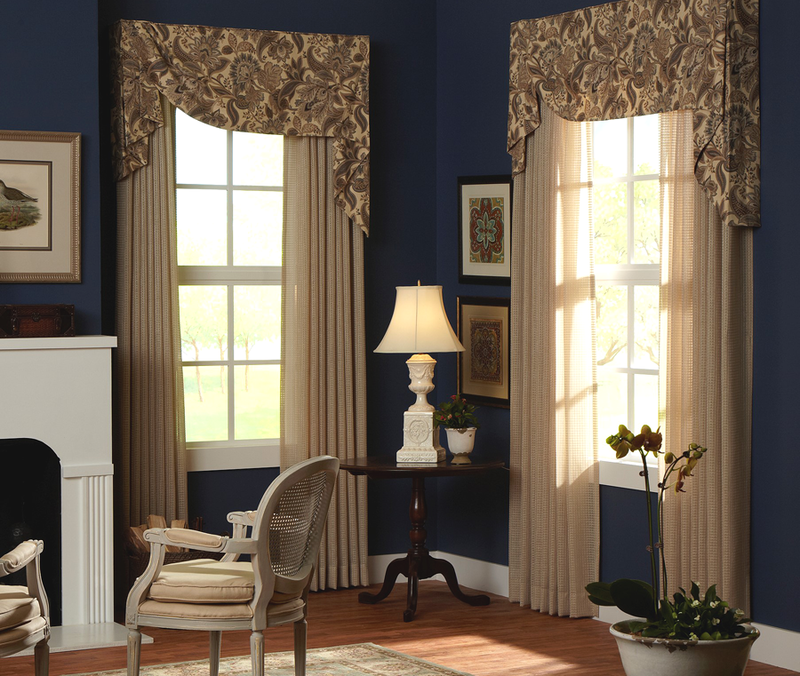 What is the difference between a valance and a cornice? 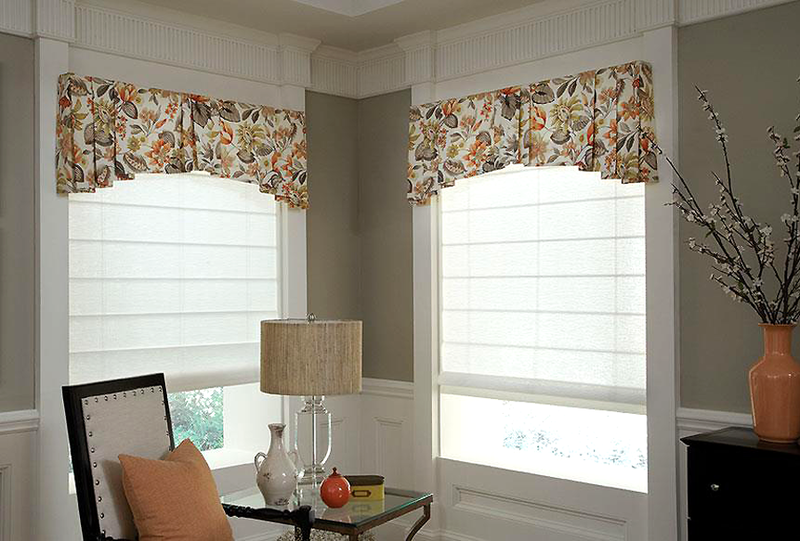 A valance is a decorative piece that tops your window treatment that typically hides your hardware. 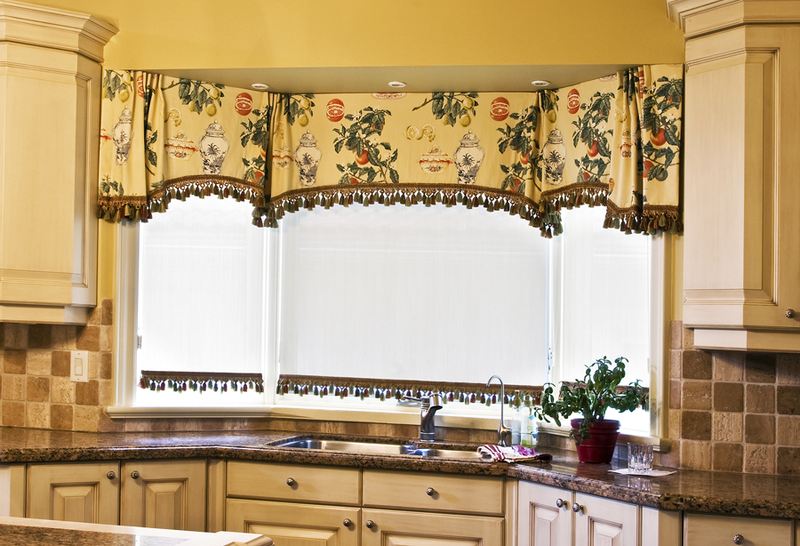 A valance is often made of fabric. A cornice is a decorative valance made out of wood. How much control do I have in the design of a cornice box / valance? You are in full control of the design – all the way down to the smallest trim. Choose a flexible padded wood frame with curved, soft, sleek, neat design styles. 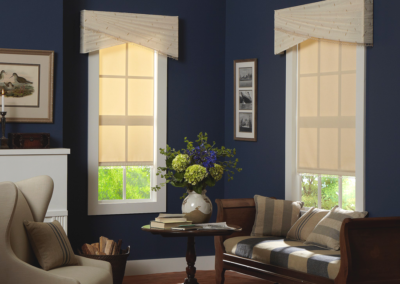 Use a valance to cover the top part of your window and have soft fabric valances as well as wood valances. These work great to fit in with your existing decor. You can use any fabric you wish, making the options endless! What is a swag valance? 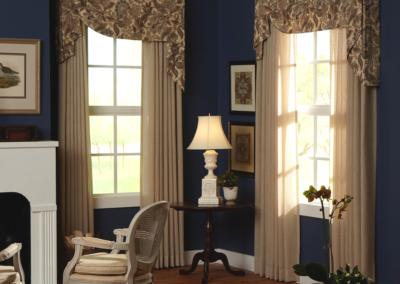 These valances use almost any kind of fabric and are draped gracefully over the window hardware, thus hanging down over both sides of the window. 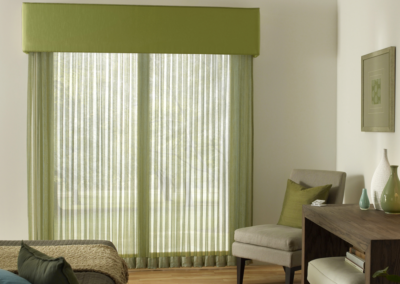 What is a balloon valance? These often provide a full appearance and are made of a light weight material. They get this name since they will easily balloon up on the sides. 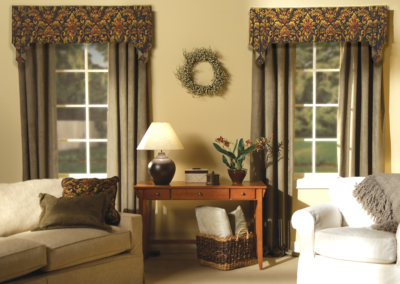 This elegant design choice is available in a varietyt of colors, patterns, and textures like most window valances. This very elegant style is commonly used in formal settings. They are dramatic and often chosen from elaborate materials with intricate designs. 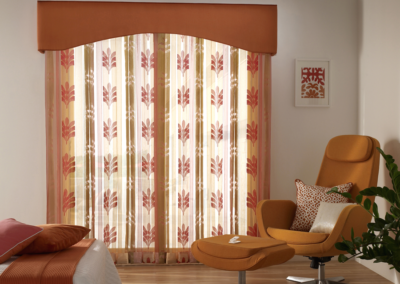 You will generally find fring and tassels as part of this window covering design style.